ARE YOU READY FOR YOUR NEW WEBSITE? Having a website designed by a professional can make your business stand out from the crowd, at the same time increase sales and conversions. In our fast-paced digital world, your website gets one chance to engage and captivate. We’ll strategically design your site to showcase your business, drive page traffic where you want it to go, and capture your audience. We’re committed to delivering your website on a clear, concise two-week timeline. In order to deliver the quality you deserve post-haste, we only work with one major client at a time - YOU! Together, we’ll dive deep into the heart of your business vision to create your dream website, using our proven techniques and strategies to create a visually stunning and engaging, effective online presence that will help grow your business. With our step-by-step instructions and simple questionnaires we help you put your content together, so we can capture the uniqueness of your business. Best of all - when your site is complete - we teach you how to manage it. Squarespace is a powerful yet easy-to-learn, easy-to-use system that our clients love - we’re pretty sure you will too. In this package, we take the files, imagery and copy you provide to us and transform them into a beautiful website. Want more features and pages? *We can add special features to any package. price does not include hosting or domain purchases. Find out why we use Squarespace. See our Add-on Features and prices below. 50% retainer due at time of booking; remaining balance due upon project completion. Limited spaceS available. SNEAK PREVIEW OF our design process. Already have a Squarespace website, but its not really what you wanted? Not sure what can be done to improve it? We can help get you to a better place. We’ll even check into your analytics for you to see what pages are most visited. When we’re done, you will have a thorough review of each page and recommendations for how to proceed. 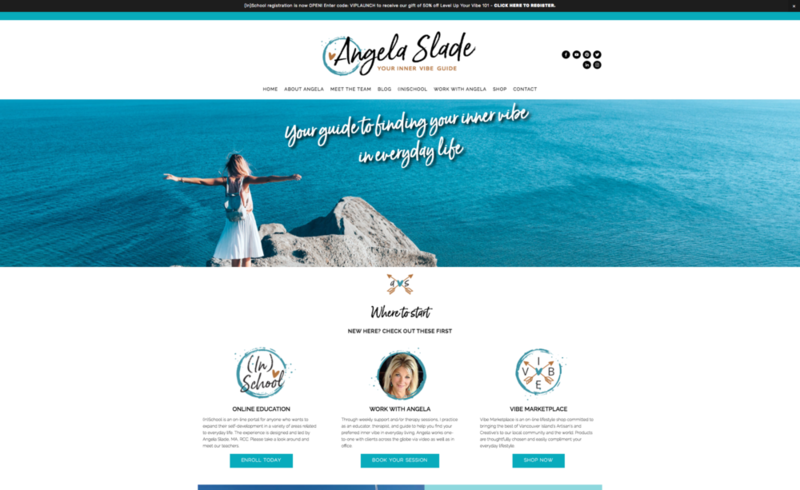 This is for you if you consider yourself a bit of a techy-type, want to build your own website, you just don’t know Squarespace and would like to learn the ins and outs of building pages, using blocks, adding a blog, connecting your newsletter & social media…and more. We offer personal lessons by phone or Skype. Take as many or as few lessons as you need. Each lesson is specifically designed to get your site up and running. For EACH 1.5 HOUR SESSION. Add additional features to your package. * some features may require additional scheduled time, and may not be possible in the 2 week timeframe. If you need to transfer a domain, I am happy to help with that. Gsuite emails that match your domain name. Need more than 6 pages? You can add additional basic pages. Additional fees may apply for customizing signup forms. you may want to have a professional signature to go with it. Add a full shopping cart with products to your website. Shipping and taxes set up. Stripe integration. * may require a Squarespace plan upgrade. IF YOU DON”T SEE WHAT YOU NEED ON THIS LIST, JUST EMAIL US. Putting your brand in the hands of a designer is a big decision! Hiring a professional to help with your brand positioning requires collaboration, communication, an open mind, and most of all, trust. Think we might make a solid team? We can zoom through building a website so much faster because we're dedicated to the project for just two weeks. It's not some long and painful process that keeps dragging on and on forever. We know that it's important to respond to each other's emails or even are able to hop on the phone if we need to discuss something more in-depth quickly. For a lot of businesses their website launch happens to coincide with their grand opening or a new marketing campaign or going to a conference or being featured online somewhere, and so having their website completed by specific date is really important to them. With our 2 week process we’re able to guarantee that they will be launched and live on the last Friday of our design date. From the date that they book, they can go plan a launch party because they know their website is going to be ready on time! By giving our undivided attention to just one client they are able to trust that their website designer has their project as a priority and they won't be left alone trying to figure things out by themselves. Plus let's be honest, who doesn't like undivided attention? For website design… we don't limit clients to a certain number of revisions or edits, they have as many revisions and edits as they would like within the design timeframe. Our only deadline is the second Friday. The faster the client can get their edits back to us, the more edits we can complete. If for some reason we haven't been able to edit the website to perfection by the second Friday we have on one occasion previously done some quick live edits while we were on our lesson and launch call so that they were fully satisfied before we actually put the website online. Clients know that they're not just one in a sea of other clients that we’re assisting, but that they have our attention and that we truly care about their project. For the 2 weeks we are frequently communicating and we tend to build a really solid relationship over that time. We work together towards a common goal to create a website that you LOVE! we’d love to chat about your business and website dreams! 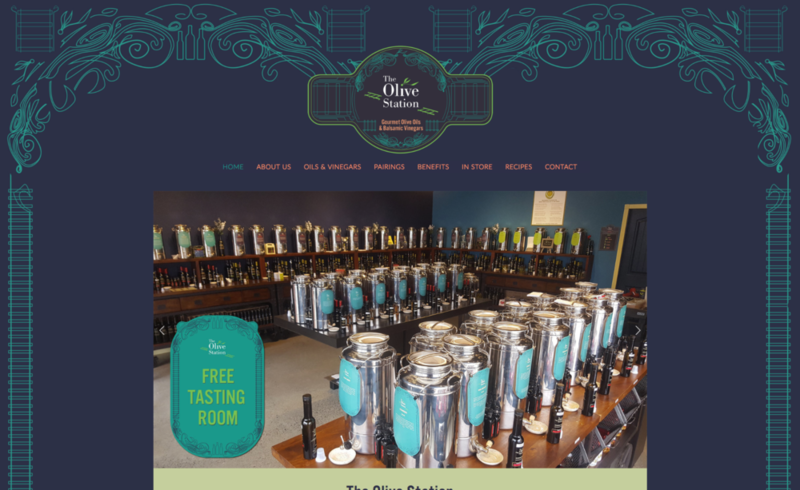 We’re often asked why we chose Squarespace for our clients’ sites over options like Wordpress. The truth is, Squarespace is much more than your average drag-and-drop template site builder. Freedom. We believe in independence - and we know that is what our clients want too. Not having to pay someone to make changes on your site each and every time you want to change a photo or add some pages (but we can still do that, if that is what you want). And… with Squarespace, you will actually own your website. Easy to learn. Squarespace enables us to build great websites on a platform that is easy for clients to learn, even for the not-so-techy types. We’ll teach you how. We even offer a DIY website course, in case you are a seriously independent techy-type and would rather design your own site. Power of One. Squarespace takes care of all those software updates, plug-in installations and online security for you behind the scenes so you don't need to worry about a thing. And for those techy-types… Squarespace also has awesome analytics, so you can check your traffic and stats at a glance at any time. Support. Squarespace also provides 24/7 online customer support, plus a huge library of video and step-by-step tutorials, which means that you'll easily be able to run your website yourself after we've built it for you. Flexibility. Squarespace can be used for regular websites, online stores or blogs. You can integrate appointment booking, social media accounts, event calendars, newsletters captures, videos, multiple galleries, slideshows, and so much more. The options are endless and your website can easily grow and change when your business does. Six month trial period, rather than the standard two weeks. We'll have your website finished in two weeks, but if you need a little more time, you've got up to six months before your site will need to incur a paid subscription (hosting). 20% discount for your first year of Squarespace when your subscribe to an annual payment plan. You'll know your site is being built by an expert, with over a decade of web design and development under our belt plus a thorough knowledge of Squarespace's features. With our CSS skills, we will also customize your site so it doesn’t look like a template. Squarespace is user-friendly, powerful and beautiful. You will LOVE it too! Copyright© 2008- 2019 Zuk Design. All rights reserved.